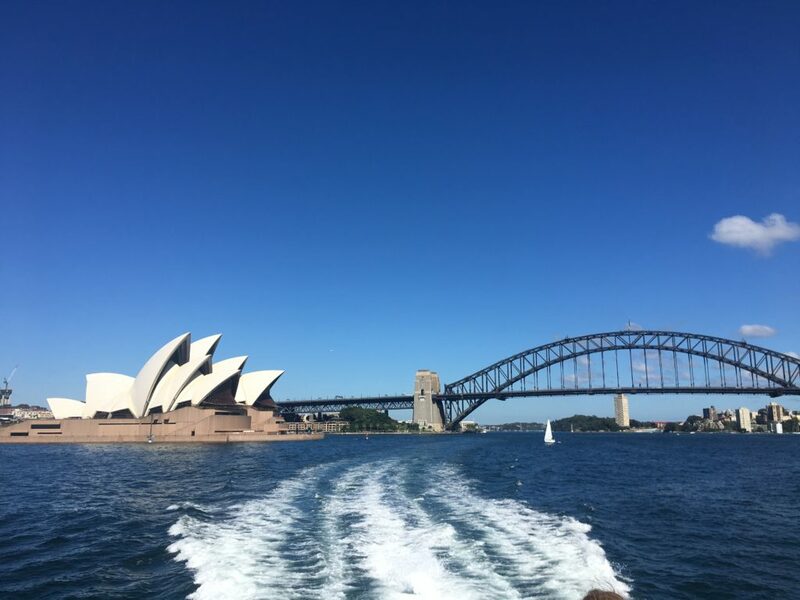 I have visited 150+ cruise ports (many of them more than once), some 40 different airports, plus an extensive list of other cities, towns, and villages throughout the world. Here are some details of my cruise, hotel and excursion experiences over the last 17+ years. Prior to embarking the Sea Princess in Brisbane, Australia for two weeks of New Zealand cruising, we spent time in Hawaii and Sydney, Australia. We began our trip by renting a Mini Cooper and driving to Oahu’s North Shore for surfing lessons. We also surfed at Manly Beach in Sydney and enjoyed Christmas Day on Bondi Beach. In Brisbane we checked out the koalas and pet the kangaroos at the Lone Pine Koala Sanctuary in Brisbane. The Sea Princess cruised from Brisbane, Australia to New Zealand including Fiordlands National Park and the ports of Port Chalmers (for Dunedin), Akaroa, Wellington, Napier, Auckland, and Tauranga. We ziplined on Waiheke Island and white-water rafted on the Kaituna River that included a 7-metre drop over a waterfall! In Akaroa we enjoyed an excursion on a sailing ketch where dolphins swam around our boat. On our tour from Port Chalmers, we had free time in Dunedin before and after our drive to the head of the Otago Peninsula where we saw penguins, seals and royal albatross. 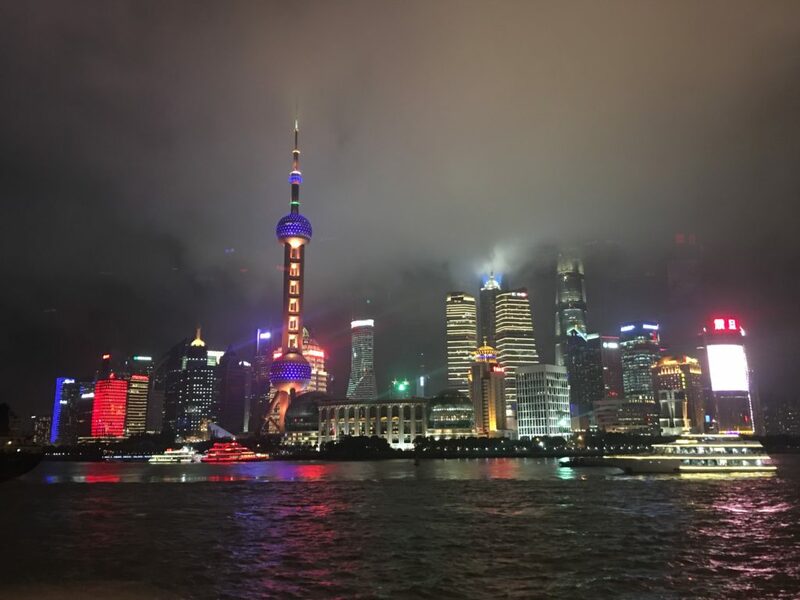 We spent four weeks on the Majestic Princess cruising out of the Port of Shanghai. We shopped at an underground market in Shanghai, visited the Atomic Bomb Museum in Nagasaki and stopped by a local Karate Dojo in Okinawa. In Busan, South Korea we ate lunch at the bustling food court in the Lotte Department Store basement. After we disembarked in Hong Kong, we took in the sites including riding the Ngong Ping 360, a gondola on Lantau Island that takes riders to the top to see the Big Buddha. We finished off the evening at the Temple Street Night Market before flying home the following day. In March 2018, we spent March Break in New York City seeing the sites. 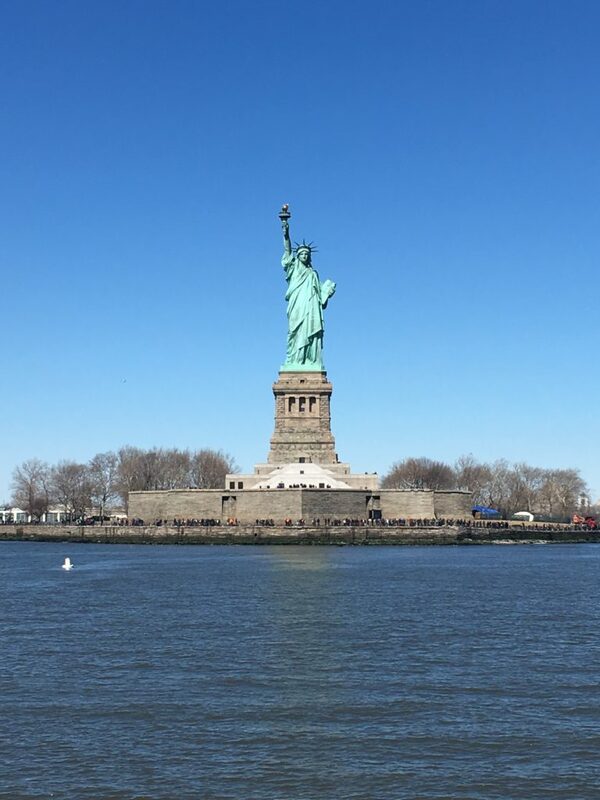 We visited the Statue of Liberty, Ellis Island [including the Hard Hat Tour], Top of the Rock, The Met, Times Square, Chinatown, the Brooklyn Bridge [walking it at sunrise and sunset], Wall Street and Little Italy. Prior to driving to NYC, we stopped in Hershey, Pennsylvania and visited Hershey’s Chocolate World. In March and April 2017, we cruised on the Majestic Princess during her inaugural sailings. We flew to Rome and took the train to Trieste via Venice. Then, we embarked in the evening, prior to most of the passengers and media getting on the ship. We cruised for 10 days and visited the ports of Civitavecchia (Italy), Kotor (Montenegro), and Corfu (Greece). We disembarked the cruise in Civitavecchia, Italy. 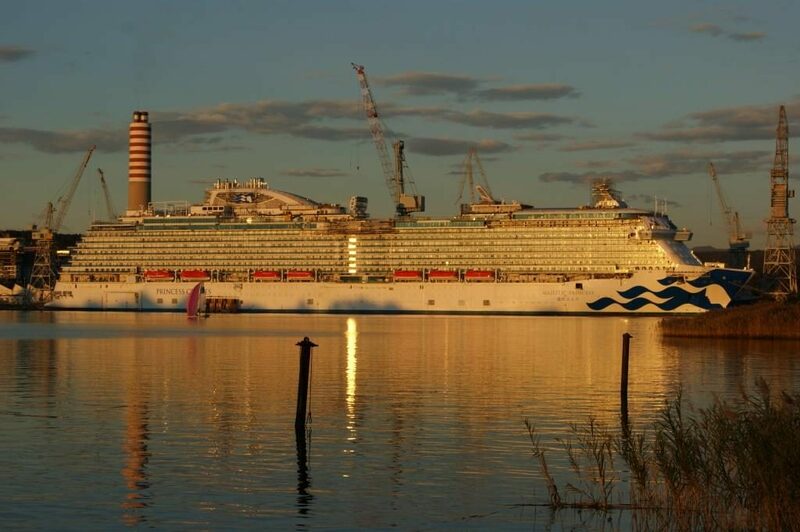 From December 16th to January 14th, my daughters and I stayed in an apartment in Monfalcone, Italy with my husband while he was working at Fincantieri Shipyard as the Staff Captain for the Majestic Princess new build. During that period we visited Venice, Murano, Milano, Trieste, San Danielle, and Miramare, Italy. Highlights and activities included glass blowing factories in Murano, Prosciuttificio Prolongo in San Daniele del Friuli, and Castello di Miramare. 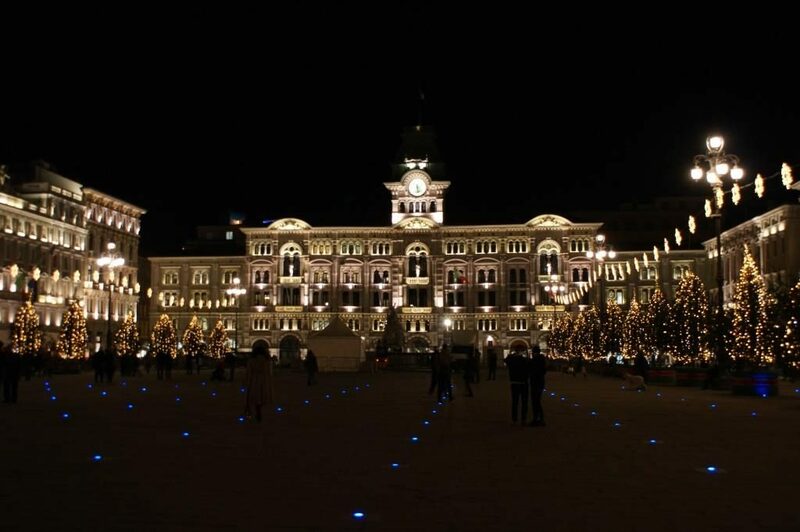 For three days over Christmas we took the train from Monfalcone, Italy to Bern, Switzerland, via Milano, Italy. Highlights and activities included Duomo di Milano, Bern Christmas markets, Bern’s Clock Tower, and Bern Minster Cathedral. 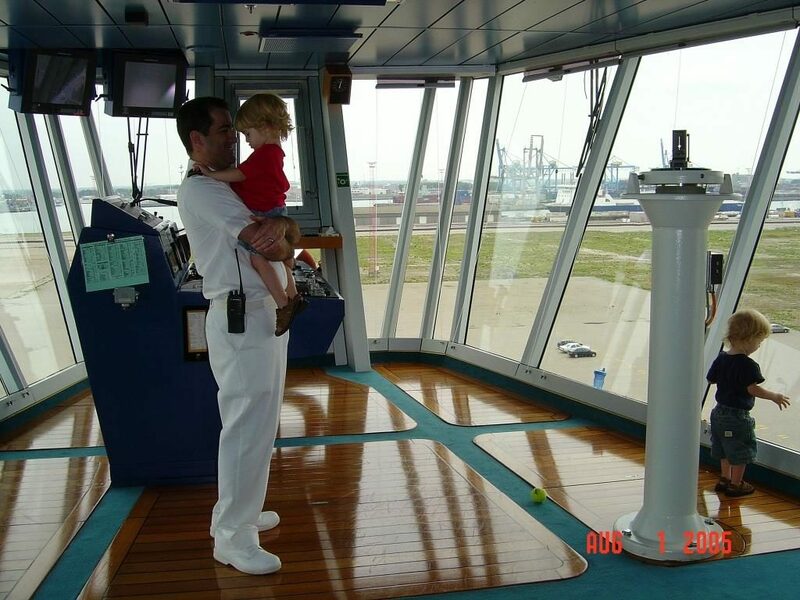 For ten days, my daughters and I stayed in an apartment in Monfalcone, Italy with my husband while he was working at Fincantieri Shipyard as the Staff Captain for the Majestic Princess new build. Highlights included a hike in Parco Tematico della Grande Guerra di Monfalcone as well as some time spent in Venice. In August 2016, we vacationed in Europe. We stayed with relatives in Sardinia, Italy for five days before embarking on the Royal Princess in Civitavecchia, Italy. We cruised the Mediterranean for 28 days visiting the ports/cities of Livorno (Italy), Florence (Italy), Monte Carlo (Monaco), Toulon (France), Gibraltar, Valencia (Spain), Barcelona (Spain), Cartagena (Spain), Marseille (France), Genoa (Italy), Napoli (Italy), Messina (Italy), Corfu (Greece), Crete (Greece), Mykonos (Greece), Athens (Greece), Santorini (Greece), and Kotor (Montenegro). Some highlights and activities included Las Arenas Beach (Valencia), Sagrada Familia Church and Gothic Quarter (Barcelona), Roman Theatre (Cartagena), Notre Dame de la Garde (Marseille), Acropolis (Athens), riding donkeys in Santorini (Greece), and climbing the 1,350 stairs to the fortress of San Giovanni (Kotor). In March 2016, we cruised the Caribbean. 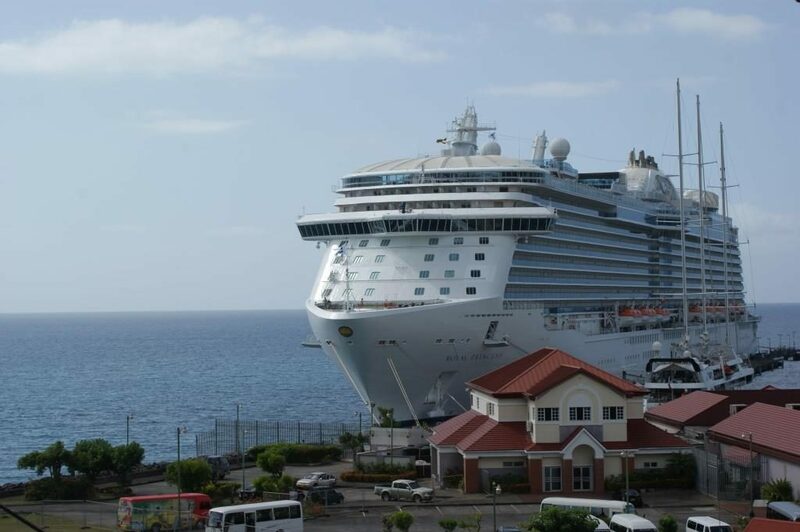 We embarked the Royal Princess in Fort Lauderdale, Florida and cruised 21 days (3 cruises) visiting the islands of Dominica, St. Lucia, Barbados, Antigua, St. Thomas, Princess Cays, Bonaire, Grenada, and Aruba. 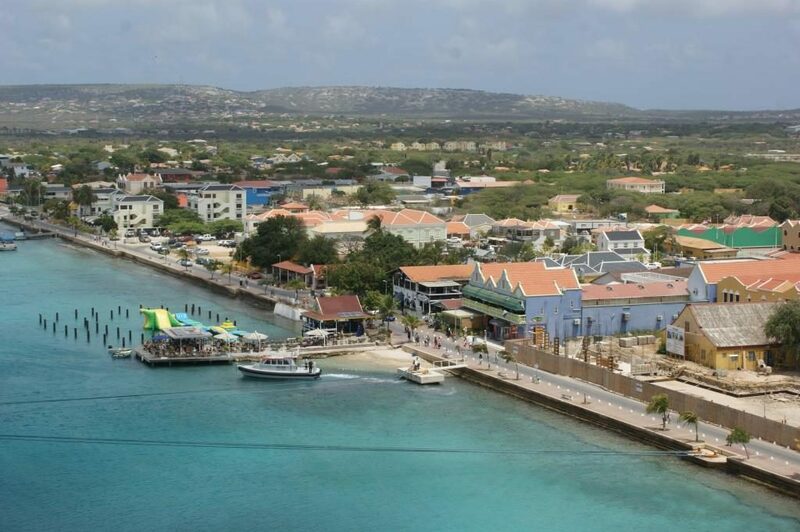 We embarked the Royal Princess in Fort Lauderdale, Florida and cruised 17 days (2 cruises) visiting the islands of Aruba, Bonaire, Grenada, Dominica, St. Thomas, Princess Cays, Nassau (Bahamas), and St. Maarten. During the Christmas week in 2015, we did a road trip from our home in Ontario to Orlando, Florida. 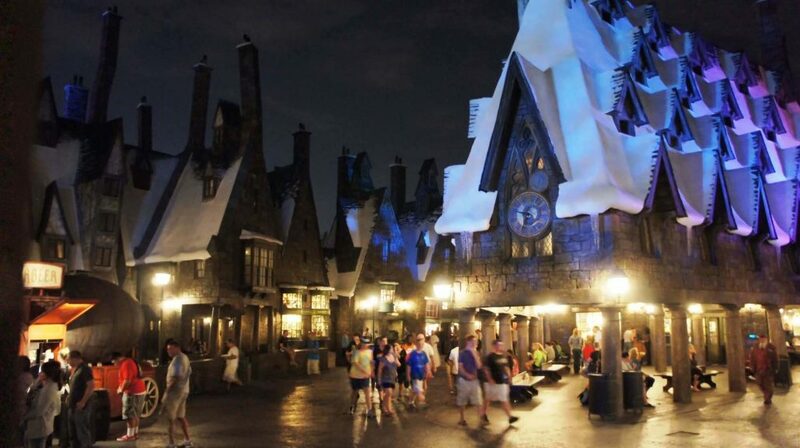 We visited Universal Studios, The Wizarding World of Harry Potter, Islands of Adventure, and Wet ‘n Wild Waterpark. During November 2015, we cruised the Mexican Riviera on the Crown Princess. We embarked in San Pedro, California and cruised 14 days (2 cruises) visiting Mazatlan (Mexico), Puerto Vallarta (Mexico), and Cabo San Lucas (Mexico). Sights and activities included the Queen Mary’s Ghosts and Legends Tour and a beach resort in Mazatlán’s Golden Zone. In August 2015, we spent a few weeks in Italy as a family. We spent a day in Rome before travelling by train to Genoa where we spent another couple of days. 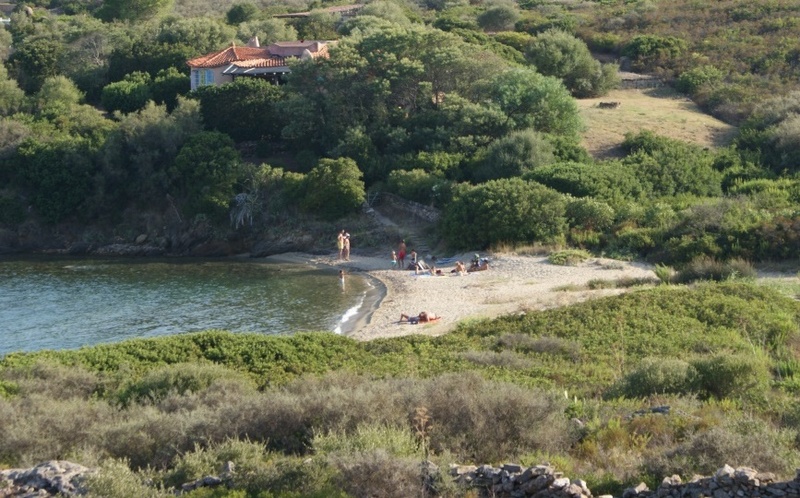 From there, we flew to Sardinia to stay with relatives for a week. We took a ferry back to mainland Italy and during our final vacation week, we stayed in Civitavecchia, Italy. While the girls and I spent time at the beach, shopping and immersing ourselves in Italian culture, Tony attended a training course required for his Captain’s licence. In July 2015, we cruised in Ontario on our 40’ Mainship from Lefroy Harbour to Belle River Marina via Lake Simcoe, the Trent-Severn, Georgian Bay, Lake Huron, St. Clair River, and Lake St. Clair. 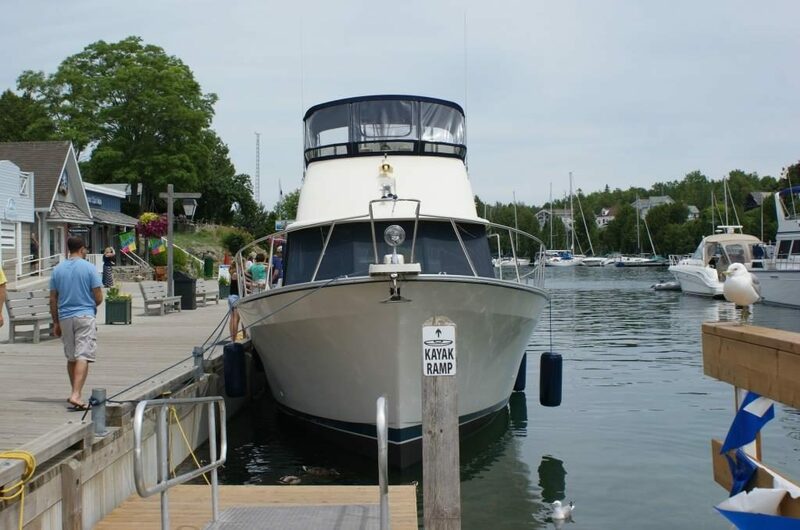 Places visited included Bridgeport Marina (Orillia), Bayport Yachting Centre (Midland), Lion’s Head Marina, Little Tub Harbour (Tobermory), Port Elgin Marina, and Sarnia Bay Marina. In April 2015, we cruised the Mexican Riviera on the Crown Princess. We embarked in San Pedro, California and cruised 15 days, visiting the ports of San Francisco, San Diego, Santa Barbara, Ensenada (Mexico), Mazatlan (Mexico), Puerto Vallarta (Mexico), and Cabo San Lucas (Mexico). Sights and activities included the Queen Mary Self-Guided Tour (Long Beach), shopping on Hollywood Blvd, visiting the California Science Center (LA), riding the LA Metro Bus and Rail system, spending a day at the Exploratorium (San Francisco), visiting Pier 39 – Sea Lions (San Francisco), and the Swim with Dolphins Tour (Cabo San Lucas). 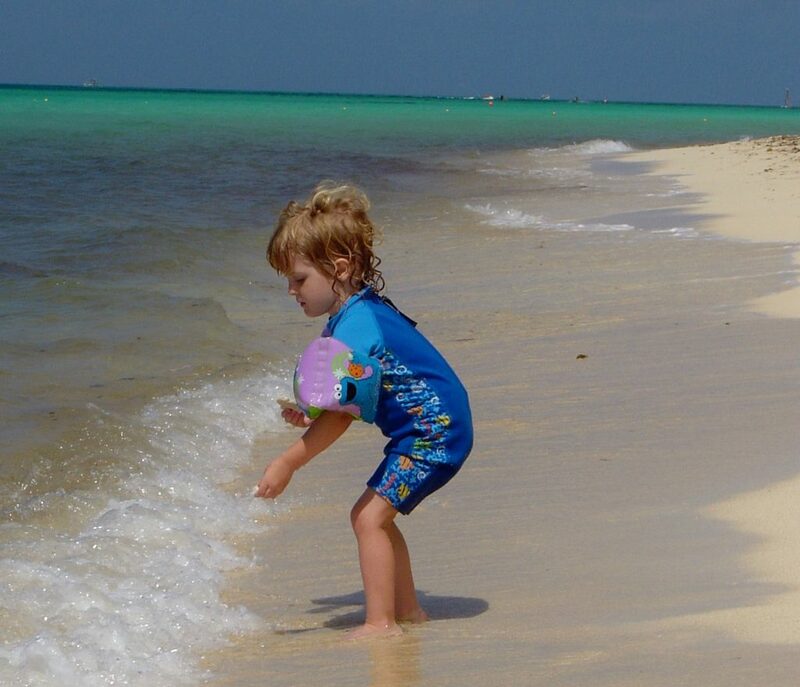 In December 2014, we cruised the Caribbean on the Caribbean Princess. We embarked in Fort Lauderdale, Florida and cruised the Caribbean for 26 days (4 cruises) visiting Cozumel (Mexico), Costa Maya (Mexico), Grand Turk (Turks and Caicos), Princess Cays (Bahamas), and Nassau (Bahamas). Sights and activities included Playa Mia Grand Beach and Water Park (Cozumel), Blue Fish Spa Pedicure (Cozumel), Kayaking in Princess Cays, and spending Christmas and New Years on board the Caribbean Princess. In July 2014, we cruised Europe on the Ruby Princess. We flew to Paris and stayed 36 hours before taking the train to Le Havre where we embarked the Ruby Princess. We cruised 14 days, visiting the ports of Southampton, St. Peter Port, Cobh, Dublin, Belfast, Greenock, Kirkwall, and South Queensferry. 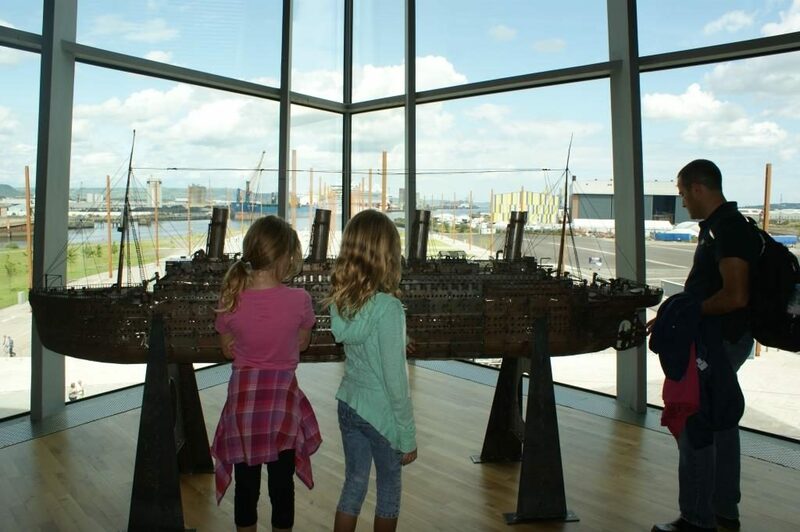 Some sights and activities included Notre Dame (Paris), Cobh Heritage Centre (Cobh), Butlers Chocolate Experience (Dublin), Titanic Museum, Pumphouse and Docks (Belfast), and Royal Yacht Britannia (Edinburgh). We disembarked the Ruby Princess in Southampton and flew to Sardinia to stay 10 days with relatives. 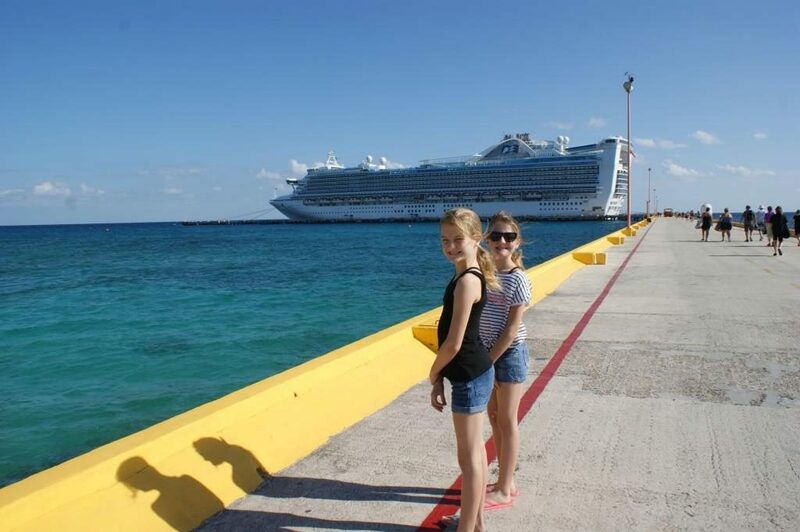 In March 2014, we cruised the Caribbean on the Emerald Princess. We embarked Emerald Princess in Fort Lauderdale, Florida and cruised 20 days (2 cruises), visiting the ports of Antigua, St. Lucia, Barbados, St. Kitts, St. Thomas, Princess Cays, Dominica, Grenada, Bonaire, and Aruba. Sights and activities included kayaking in Princess Cays, Grand Etang, Cocoa Experience and Rum Sampling in Grenada, and an exclusive Yacht Coastal Cruise and Snorkel excursion in Bonaire. 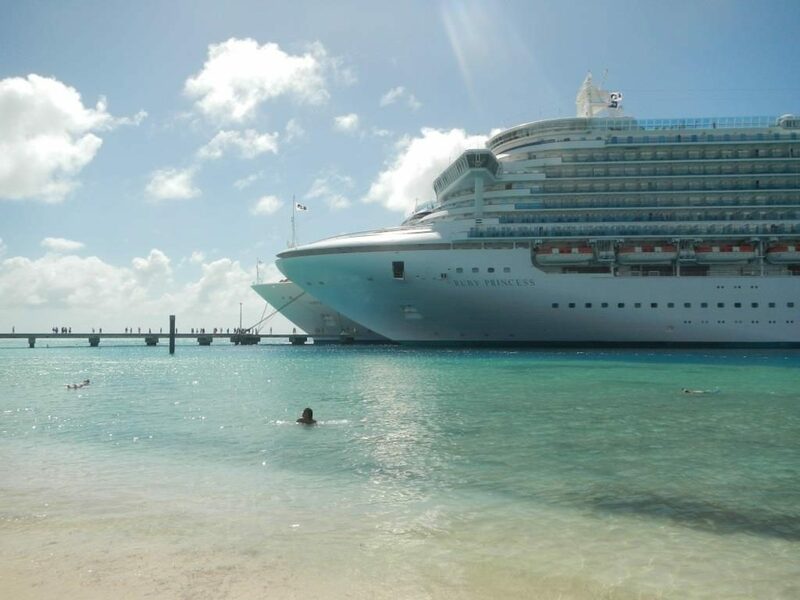 In February 2014, we cruised on the Ruby Princess in the Caribbean. We embarked Ruby Princess in Fort Lauderdale, Florida and cruised 15 days (3 cruises), visiting the ports of Princess Cays, Grand Turk, Grand Cayman, and Cozumel. Sights and activities included kayaking and paddle-boarding in Princess Cays, snorkelling in Grand Turk, Seven Mile Beach in Grand Cayman, Tulum Ruins and Beach Break excursion from Cozumel, and Chankanaab Park, Cozumel. 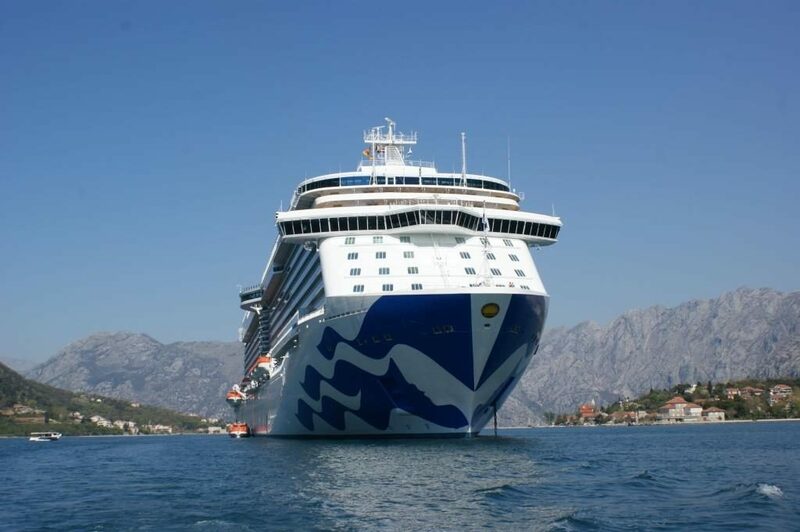 In September 2013, we cruised throughout Europe on the Ocean Princess. Prior to our cruise we hired a car to take us from our hotel in London to Cadbury World in Birmingham. We stayed an extra day and night in Dover, UK before embarking on our 11 day cruise, visiting Le Havre, Cadiz, Gibraltar, Barcelona, Monte Carlo, Genova and Civitavecchia. Sights and activities included Dover Castle (Dover), the Louvre (Paris), Barbary Apes and Cable Car (Gibraltar), La Sagrada Família (Barcelona), and Acquario di Genova. We disembarked in Civitavecchia, Italy the same day that Tony had finished his contract. We traveled seven days by train throughout Italy visiting Rome, Venice, Pisa, Porto Santo Stefano, Giglio Island, Napoli and Pompeii. Sights and activities visited included Trevi Fountain (Rome), a gondola ride (Venice), the Leaning Tower (Pisa), the Ruins of Pompeii, and a ferry from Porto Santo Stefano to Giglio Island to see the Costa Concordia in the waters off Giglio Island. 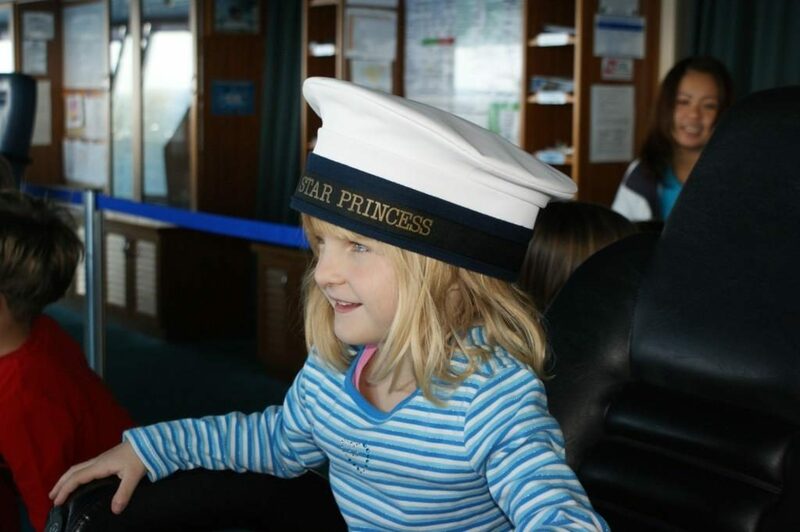 In July 2013, we cruised the Baltic on the Emerald Princess. Prior to embarking our cruise in Copenhagen, we visited Tivoli Gardens. 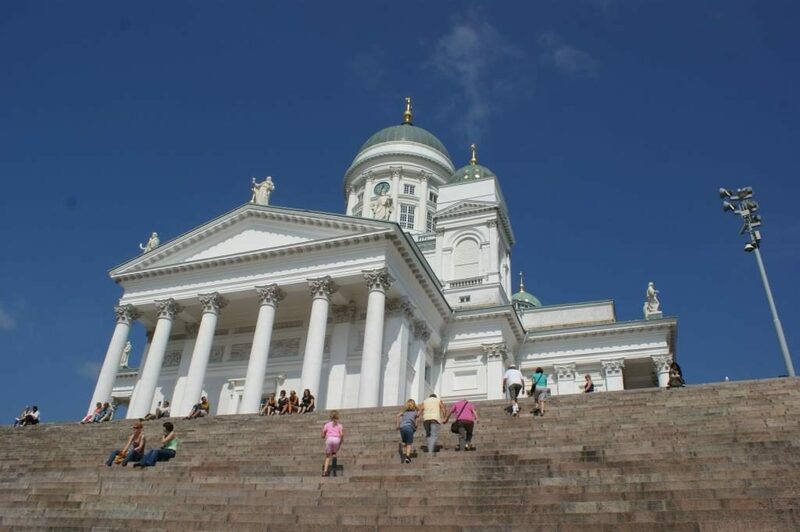 We cruised 20 days visiting the ports of Oslo (Norway), Aarhus (Denmark), Warnemunde (Germany), Tallinn (Estonia), St. Petersburg (Russia), Helsinki (Finland), Stockholm (Sweden), and Rostock (Germany). Sights and activities included the Viking Ship Museum (Oslo), Vigeland Sculpture Park (Oslo), National Gallery with “Scream” painting (Oslo), Aarhus Cathedral (Aarhus), Town Hall (Tallinn), Peter and Paul Fortress (St. Petersburg), Church of the Saviour on Spilled Blood (St. Petersburg), Suomenlinna Fortress (Helsinki), lunch with a Finnish family (Helsinki), Vasa Museum (Stockholm), and Rostock Zoo (Rostock). We disembarked in Stockholm, Sweden and flew to Sardinia to stay with relatives for a week. Prior to flying home, we stayed in Rome for another day to experience the Colosseum and Vatican City. 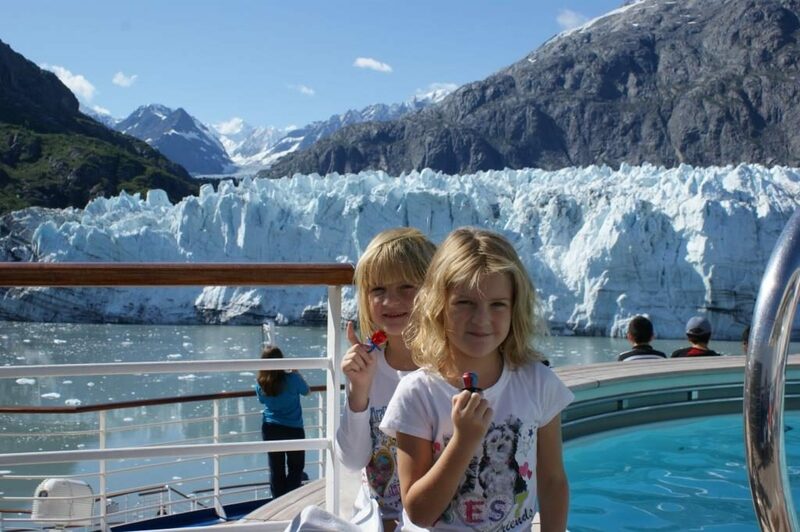 In September 2012, we travelled to Alaska and cruised to Asia on the Diamond Princess. We took a bus from Vancouver to Seattle and stayed in Seattle for 24 hours, visiting Pike Market, the Space Needle and the Pacific Science Centre of Seattle (including the King Tut exhibit). We flew from Seattle to Anchorage, visited the Anchorage Zoo, rented a car to drive from Anchorage to Whittier, and stayed overnight in Whittier. We embarked the Diamond Princess in Whittier, Alaska and cruised 26 days from Whittier to Hong Kong, visiting the ports of Muroran (Japan), Nagasaki (Japan), Vladivostok (Russia), Dalian (China), Shanghai (China), Tianjin (China), and Pusan (South Korea). Our cruise ended in Hong Kong. Sights and activities included Hachimangu Shrine (Muroran), Atomic Bomb Museum (Nagasaki), Glover Garden (Nagasaki), Lunch with a Russian family (Vladivostock), kite flying (Dalian), a school/kindergarten visit (Dalian), a home visit (Dalian), shopping (Shanghai), Shanghai World Financial Centre, Bund Sightseeing Tunnel (Shanghai), Great Wall of China (Tianjin), and Hong Kong Disney. We disembarked in Hong Kong. In August 2012 we cruised in Alaska on the Diamond Princess. Prior to the cruise we visited Vancouver Science World, Granville Island, and Stanley Park. We embarked Diamond Princess in Vancouver and cruised from Vancouver to Whittier, Alaska for seven days northbound and then cruised from Whittier, Alaska to Vancouver for seven days southbound. 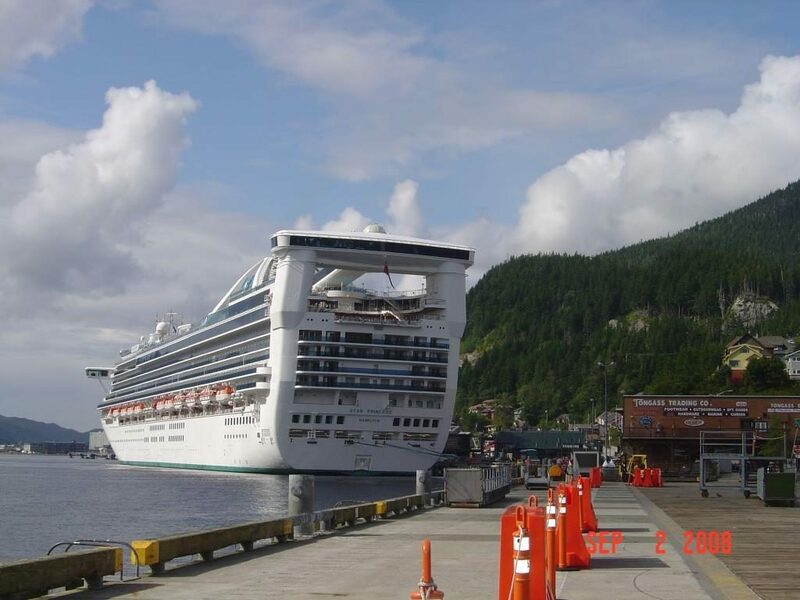 Cruise ports included Vancouver, Ketchikan, Juneau, Skagway, Glacier Bay, and Whittier. Excursions and sights included rock climbing (Skagway), ziplining (Skagway), and the Wildlife Conservation Center (Whittier). 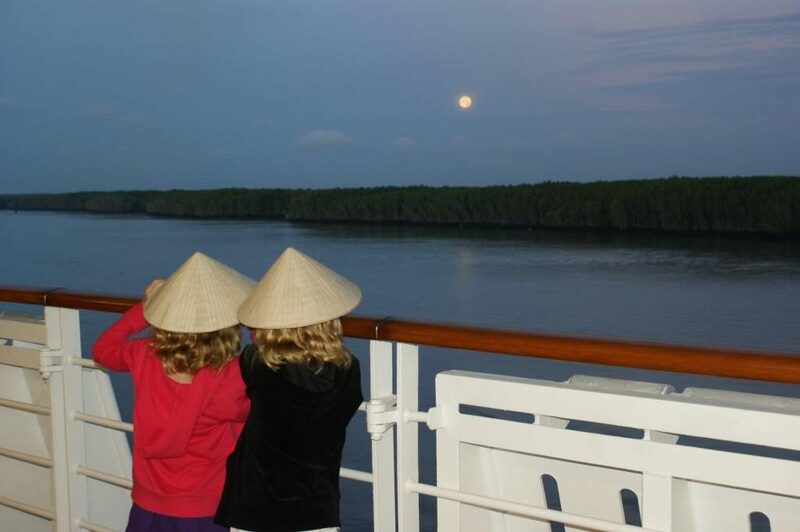 In March 2012, we cruised in Southeast Asia. We flew from Vancouver to Hong Kong, arriving in the evening with time to shop at Hong Kong’s Temple Street Market. We embarked the Diamond Princess the following day. We cruised 17 days through Southeast Asia visiting Phu My (Ho Chi Minh City, Vietnam), Nha Trang (Vietnam), Laem Chabang (Thailand), and Singapore. Sights and activities included Beaches of Nha Trang (Vietnam), Exploring Nong Nooch Park and riding elephants (Thailand), and shopping in Singapore. We disembarked in Hong Kong and flew home via Vancouver. In August 2011, we cruised 14 days on the Diamond Princess in Alaska. We embarked in Vancouver and cruised to Whittier, Alaska for seven days northbound and then cruised from Whittier, Alaska to Vancouver for seven days southbound. Cruise ports included Vancouver, Ketchikan, Juneau, Skagway, Glacier Bay, and Whittier. Excursions and sights included rock climbing (Skagway), zip-lining (Skagway), dog sledding (Skagway), and gold panning (Juneau). We disembarked in Vancouver, Canada. In March 2011, we cruised the French Polynesia as well as spent time in Los Angeles and Honolulu. We stayed in Los Angeles for 24 hours, catching a matinee at El Capitan Theatre (Hollywood) and shopping on Hollywood Blvd. 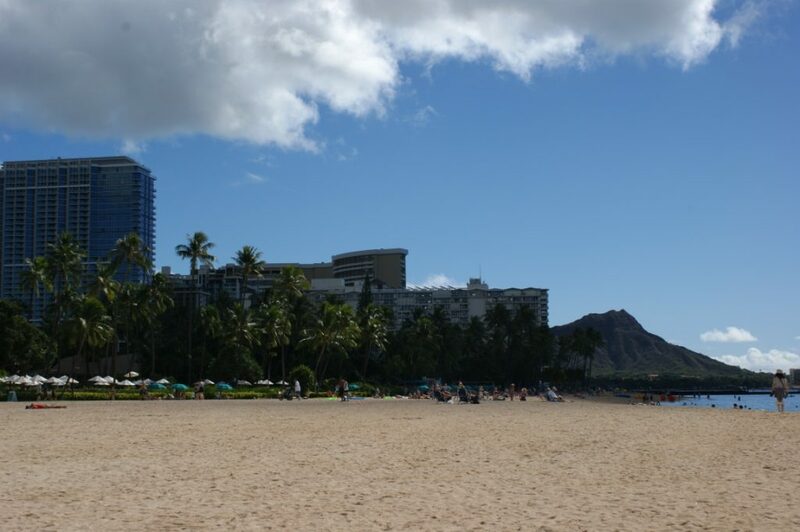 Then we stayed in Honolulu for 24 hours. This was also the day that Hawaii and the South Pacific were under a Tsunami warning. We flew from Honolulu, Hawaii to Papeete, Tahiti where we embarked Royal Princess. We cruised a 13-day French Polynesia and Hawaii cruise visiting Moorea, Raiatea, Bora Bora, Hilo, Maui, Kauai and ending in Honolulu. In Honolulu we visited the Honolulu Zoo and Waikiki Aquarium. 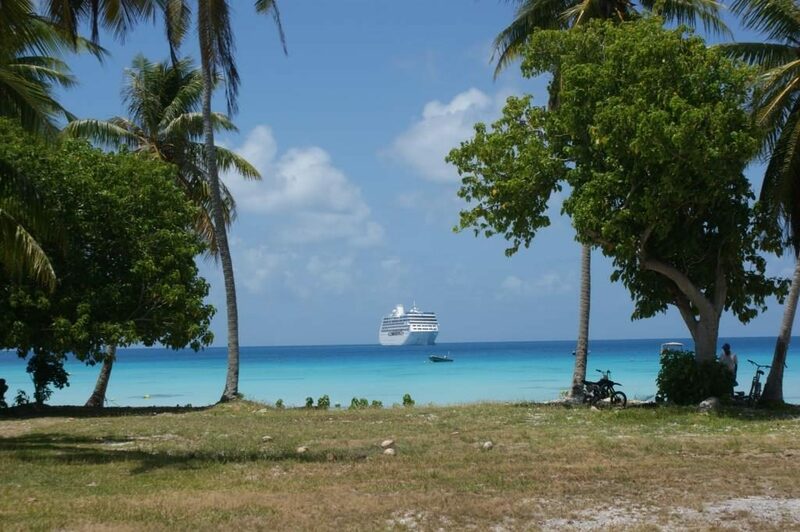 From December 2010 to January 2011 we cruised in the French Polynesia. We enjoyed a day in Papeete before embarking the Royal Princess in the late evening. 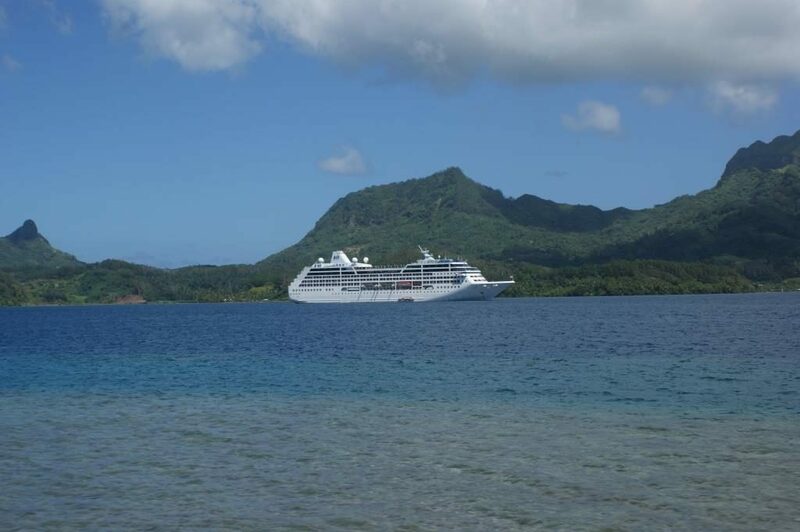 We cruised 23 days in the French Polynesia visiting the islands of Huahine, Rangiroa, Raiatea, Bora Bora, and Moorea. Activities and excursions included Motu Islet Beach Excursion (Moorea), Pearl Farm Reef House and Snorkel (Raiatea), Raiatea Motu Snorkelling Adventure, Tahiti Island Drive Highlights, and a Private Boat Tour in Bora Bora. We also enjoyed Christmas and New Years onboard. We disembarked in Papeete, Tahiti and stayed overnight before our flight home. In November 2010, we cruised in Hawaii on the Royal Princess. We flew to Honolulu via Los Angeles, then the following day we flew to Hilo, Hawaii. In Hilo, we rented a car to drive to Kona and back. We embarked the Royal Princess in Hilo, Hawaii and cruised 10 days from Hilo to Honolulu visiting the ports of Kona, Lahaina, and Nawiliwili. Activities and excursions included a Luau at the Hilton Hawaiian Village, learning to surf with a surf school in Lahaina, and visiting a Seahorse Farm of Kona. We disembarked in Honolulu. In July 2010 we cruised from Iceland to New York City. 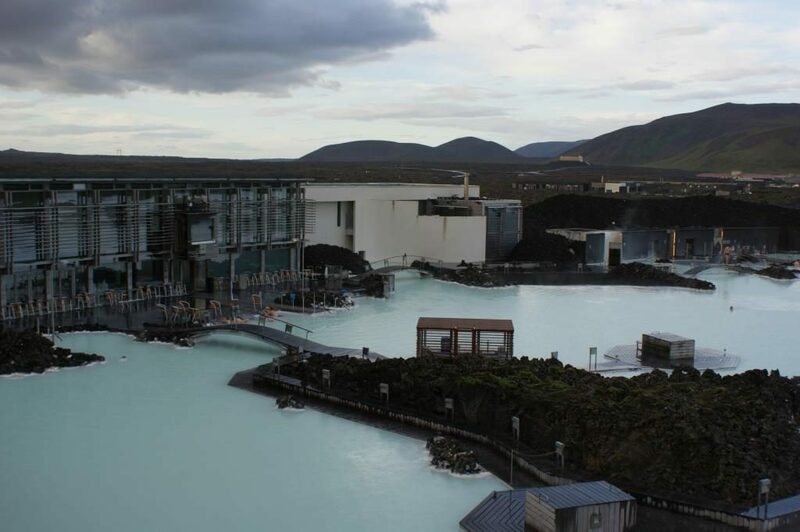 We flew from Toronto to Reykjavik, Iceland and stayed overnight near the Blue Lagoon before embarking on the Ocean Princess. We cruised 10 days from Reykjavik to New York City visiting Qaqortoq (Greenland), St. John’s (Newfoundland), St. Pierre et Miquelon and ending in New York City. 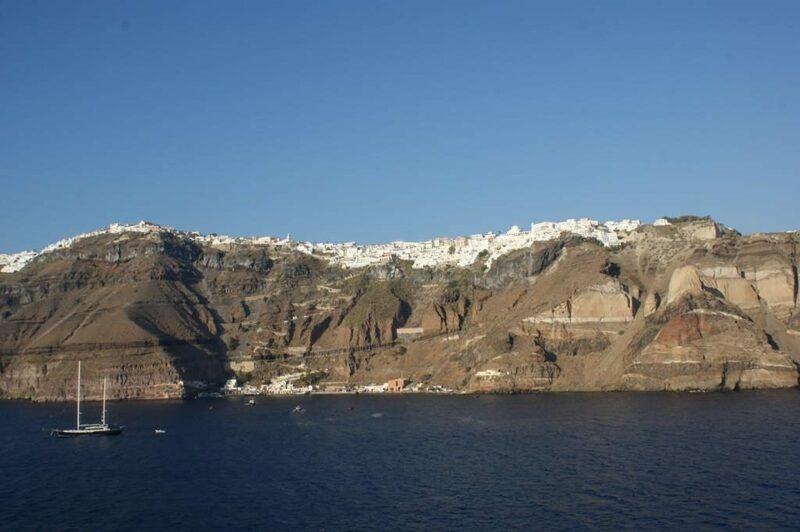 During May and June 2010, we cruised on the Ocean Princess in Europe. We flew from Toronto to London (UK), visiting Legoland and Windsor Castle including the Queen’s Dollhouse. Next, we flew from London to Tenerife, Canary Islands and stayed the day in Santa Cruz de Tenerife, where we embarked the Ocean Princess the following day. We cruised 10 days visiting the ports of Funchal (Madeira Islands), Casablanca (Morocco), Ceuta (Spain), Cadiz (Spain), Lisbon (Portugal), Le Havre (France), and ending in Dover (UK). Sights and activities included the Madeira Island cable car, and shopping in Casablanca. 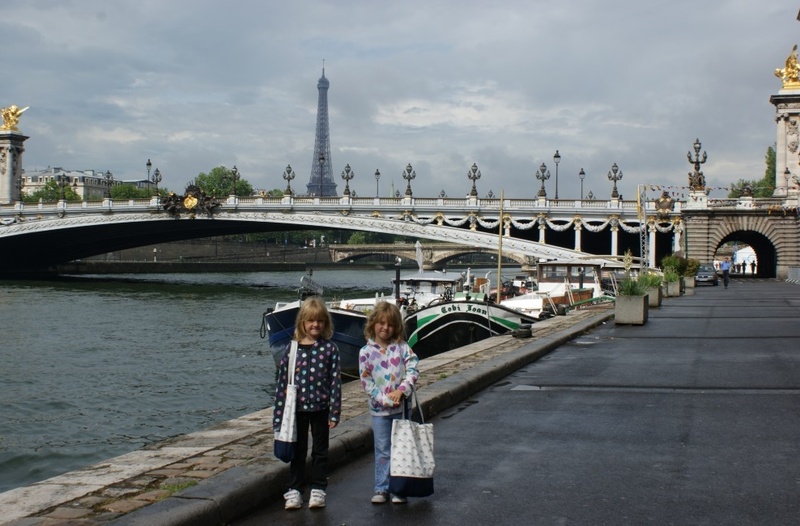 In Paris we went to the top of the Eiffel Tower and rode the Batobus on the Siene River. 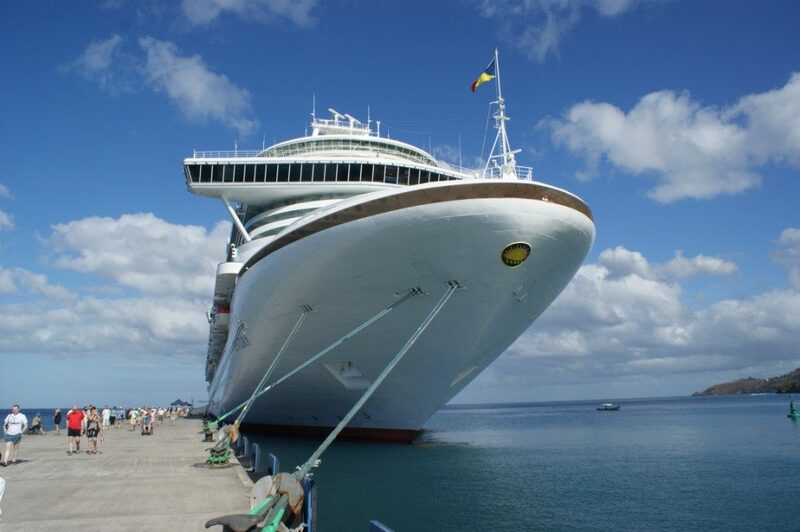 In February 2010, we cruised on P&O Ventura in the Caribbean. This was a media trip through P&O Cruises. They flew our family from Toronto to Barbados where we embarked P&O Ventura in Bridgetown, Barbados. We cruised 14 days in the Caribbean visiting the islands of St. Lucia, Grenada, Curacao, Aruba, Tortola, St. Maarten, Antigua, St. Kitts, and St. Vincent. Sights and activities included on board cooking classes with Marco Pierre White, the Taste of Grenada Spice Tour, and an exclusive dinner with the Captain and Marco Pierre White. 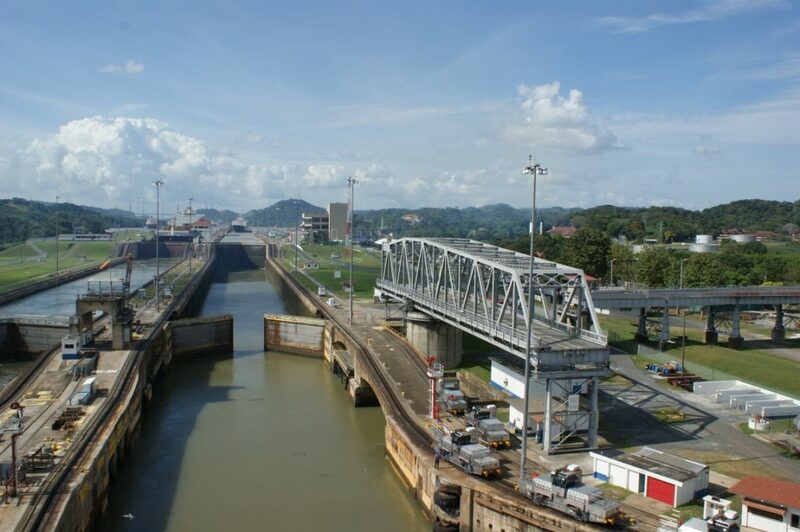 From December 2009 to January 2010 we cruised through the Panama Canal. We embarked the Coral Princess in Fort Lauderdale for a 15-day Panama Canal cruise. We visited Aruba, Cartagena (Columbia), Fuerte Amador (Panama City, Panama), Puntarenas (Costa Rica), Huatulco (Mexico), Acapulco (Mexico), and Cabo San Lucas, (Mexico) before disembarking in Los Angeles, California. Sights and activities included shopping in Panama and ziplining in Costa Rica. We spent Christmas and the New Year on the Coral Princess. Another highlight was reserving a deck chair in the Sanctuary for the Panama Canal transit as well as the duration of the cruise. In November 2009, we cruised the Panama Canal on the Coral Princess. We embarked the Coral Princess in Los Angeles for a 15-day Panama Canal cruise. We visited Aruba, Cartagena (Columbia), Fuerte Amador (Panama City, Panama), Puntarenas (Costa Rica), Huatulco (Mexico), Acapulco (Mexico), Cabo San Lucas, (Mexico), and disembarked in Fort Lauderdale. During June and July 2009 we cruised in Alaska. We flew from Toronto to Vancouver and while in Vancouver we visited the Vancouver Aquarium, Stanley Park, Granville Island Kids Market, and Science World. We embarked the Coral Princess and cruised from Vancouver to Whittier, Alaska for seven days northbound and then cruised from Whittier, Alaska to Vancouver for seven days southbound. Cruise ports included Vancouver, Ketchikan, Juneau, Skagway, Glacier Bay, and Whittier, Alaska. 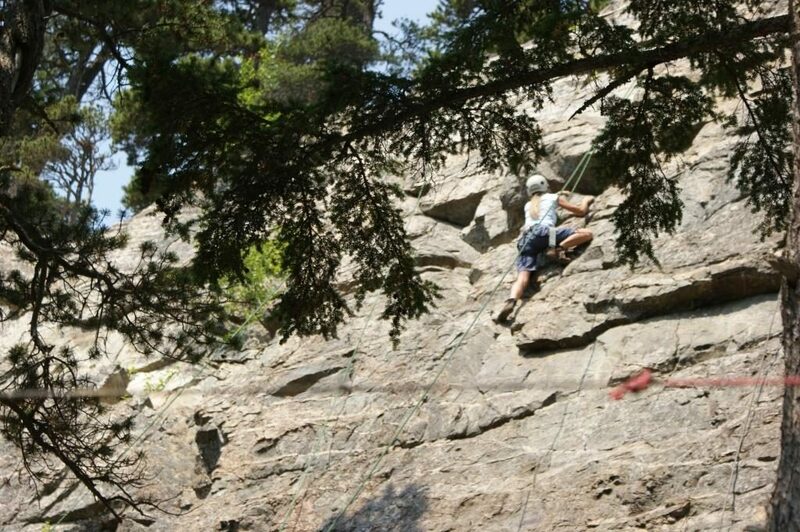 Activities and excursions included rock climbing in Skagway, zip-lining in Skagway, and snorkelling in Ketchikan. 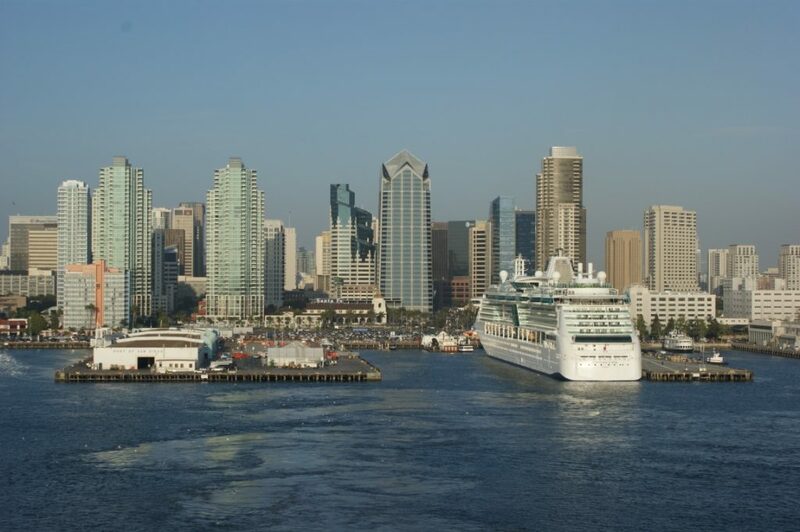 During April and May 2009 we cruised the California Coast on the Sapphire Princess. We flew from Detroit to Los Angeles and embarked the Sapphire Princess for what we thought would be 14 days of Mexican Riviera cruising. Instead, due to the outbreak of H1N1 (Swine Flu), the ship cruised the California Coast. 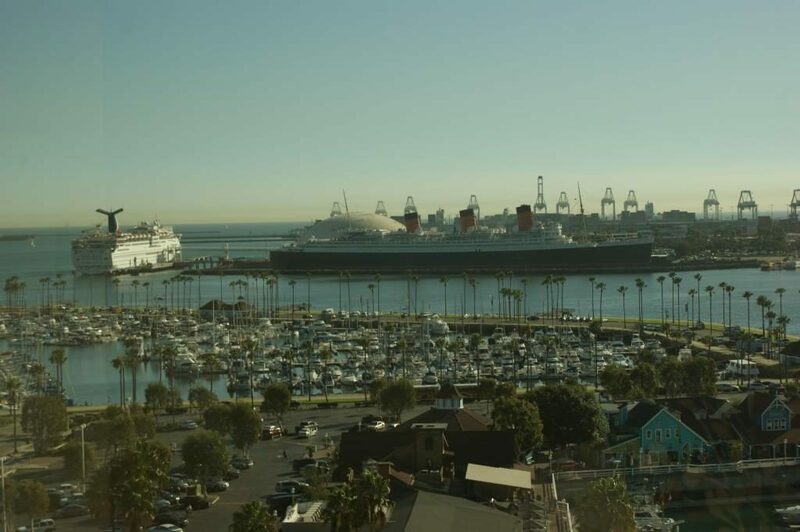 Ports of call included San Diego, Catalina Island, Santa Barbara, and San Francisco, California. 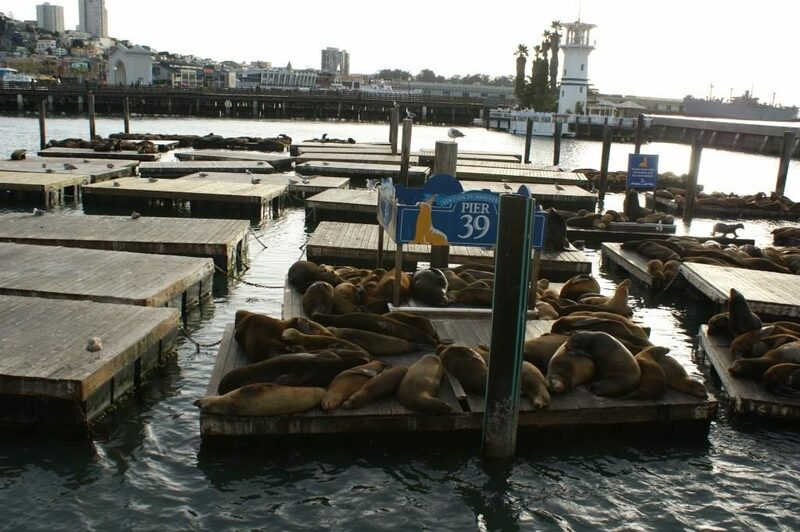 Sights and activities included the San Diego Zoo, the San Francisco Aquarium, and Alcatraz. In March 2009, we spent a week in Fort Lauderdale, Florida. 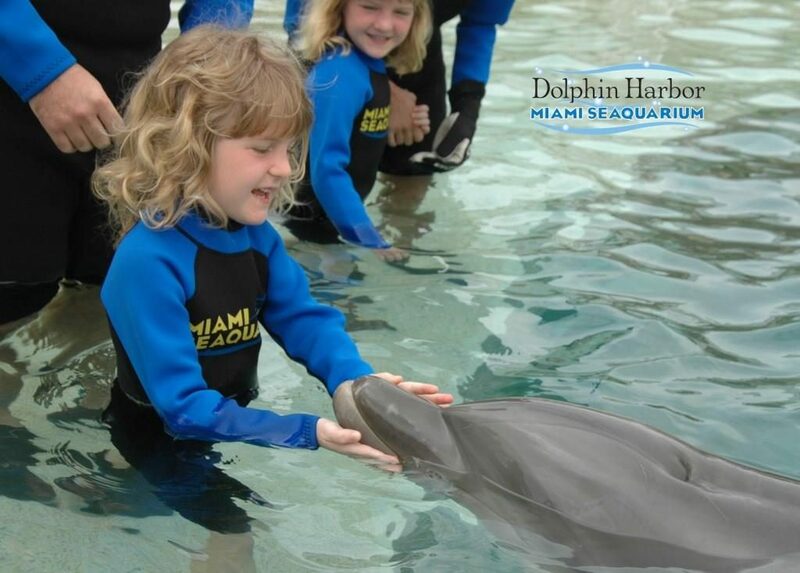 Although the main purpose of this trip was to attend the Miami Seatrade Cruise Convention, we also visited the Miami Seaquarium (including the Dolphin Encounter), we took a water taxi tour of Fort Lauderdale, and spent time on Fort Lauderdale Beach. 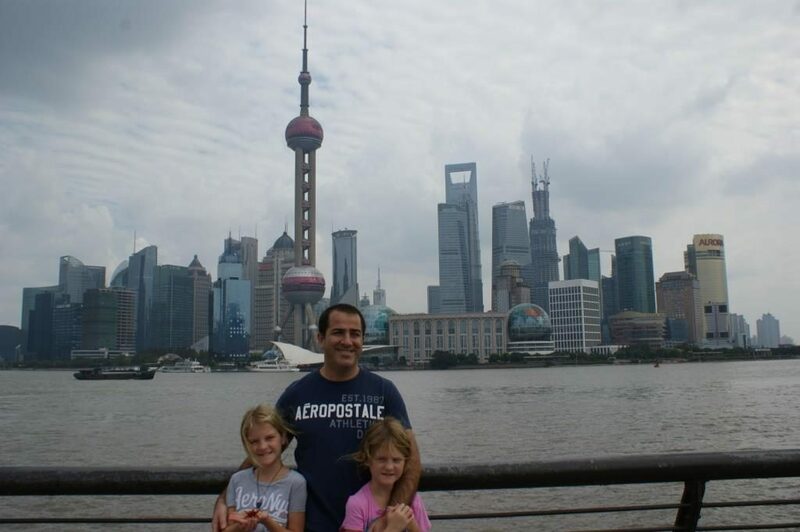 During December 2008 and January 2009 we cruised in South America on the Star Princess. We flew from Toronto to Buenos Aires, Argentina via Sao Paulo, Brazil. We embarked the Star Princess in Buenos Aires, Argentina and cruised for 30 days around South America visiting Rio de Janeiro (Brazil), Buenos Aires (Argentina), Montevideo (Uruguay), Ushuaia (Argentina), Stanley (Falkland Islands), Puerto Montt (Chile), Punta Arenas (Chile), Valparaiso (Chile) and Cape Horn. Sights and activities included Shopping on Florida Street (Buenos Aires), Corcovado and Christ Redeemer Statue (Rio de Janeiro), Bluff Cove Penguin Tour (Falkland Islands), and Sparrow Cove Penguin Tour (Falkland Islands). We disembarked in Buenos Aires, Argentina. 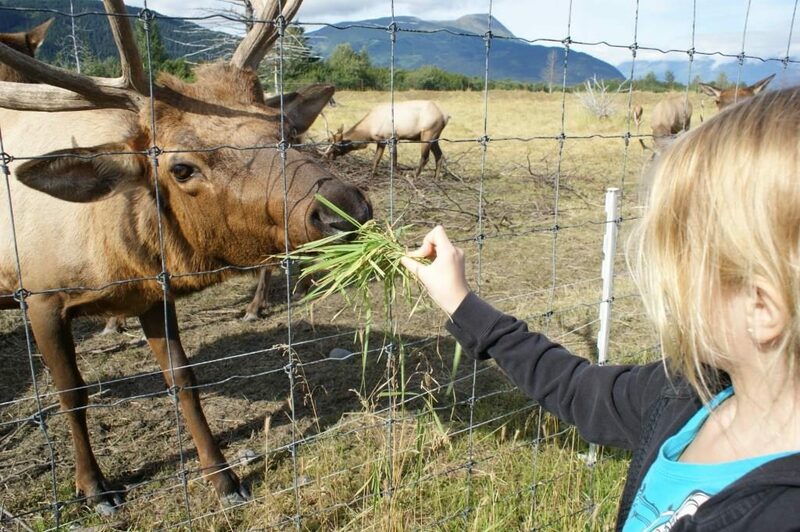 In summer of 2008, we cruised Alaska for 21 days. We embarked the Star Princess in Seattle, Washington and cruised three back-to-back seven-day cruises to Alaska (21 days) visiting the ports of Ketchikan, Juneau, Skagway and Victoria. Activities and sights in Seattle included the Pacific Science Center, the Seattle Aquarium, Pike Market and a harbor cruise. 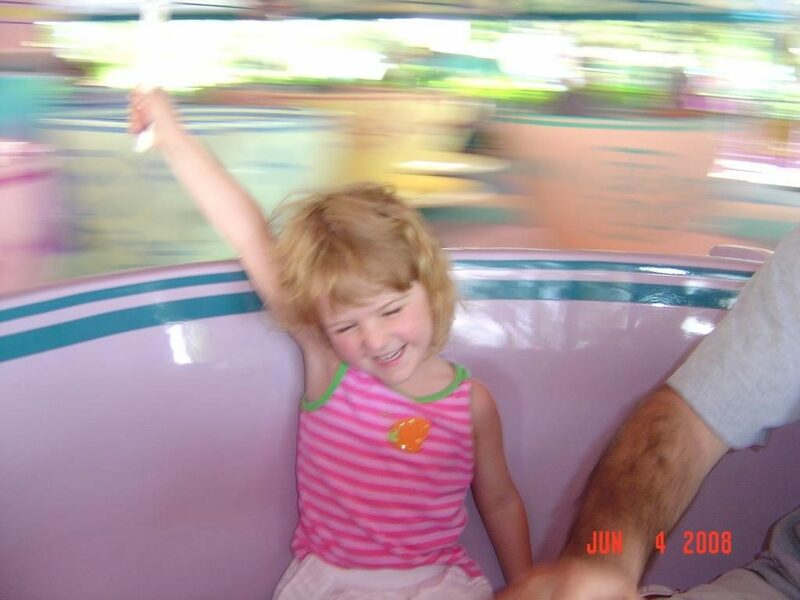 In June 2008 we visited Walt Disney World in Orlando, Florida. Highlights of the Magic Kingdom including Breakfast with Princesses, an evening Pirate and Princess Party, and Chef Mickey’s Character Dinner. In summer 2007, we cruised in Alaska on the Golden Princess. We embarked the Golden Princess in Seattle, Washington and cruised three back-to-back seven-day cruises to Alaska (21 days) visiting the ports of Ketchikan, Juneau, Skagway and Victoria. 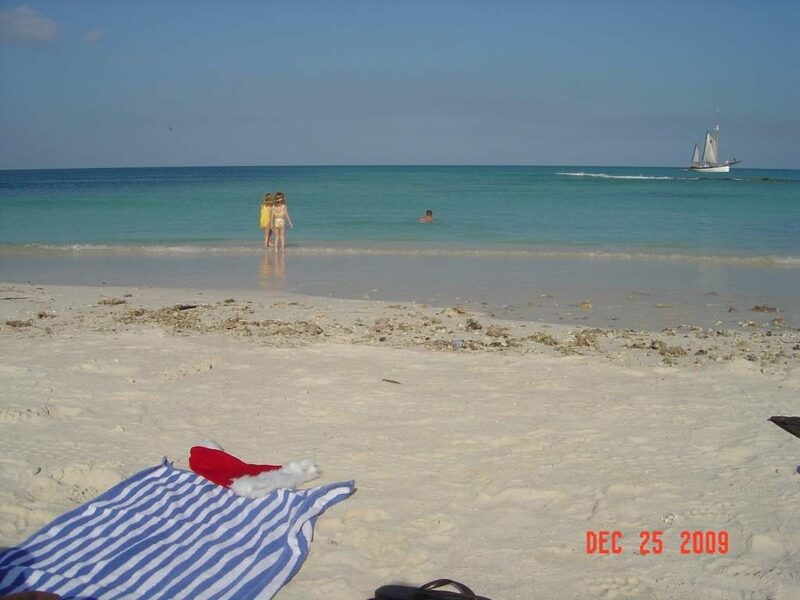 From January to April 2007 we cruised the Caribbean on the Star Princess out of Fort Lauderdale, Florida. We cruised in the Caribbean visiting Georgetown (Cayman Islands), Ocho Rios (Jamaica), Princess Cays (Bahamas), and Cozumel (Mexico). In April we drove home to Ontario from Fort Lauderdale, taking the scenic route home including the cities of St. Augustine (FL), Jacksonville (FL), Norfolk (VA), and Baltimore (MD). 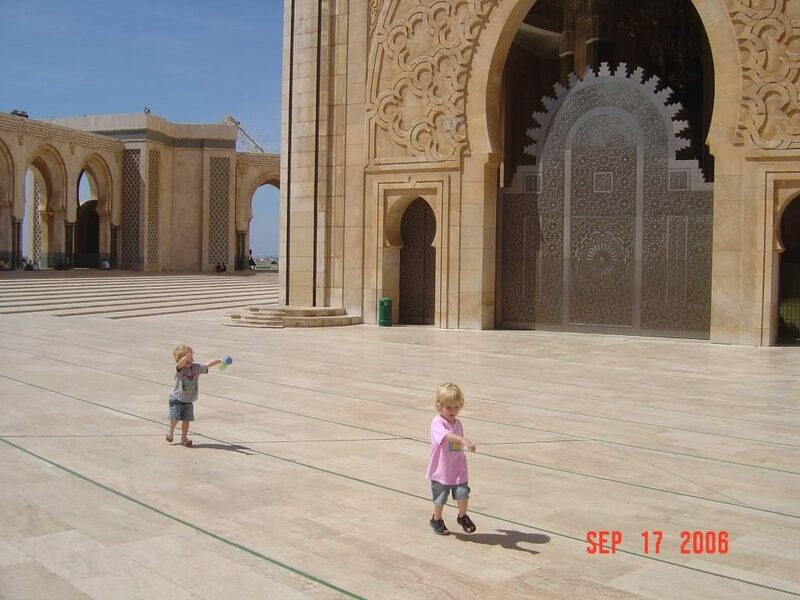 During September and October 2006 we cruised throughout Europe on the Golden Princess. We embarked the Golden Princess in Southampton, UK and cruised for 26 days visiting the ports of Zeebrugge (Belgium), Rotterdam (Netherlands), Le Havre (France), Vigo (Spain), Lisbon (Portugal), Cadiz (Spain), Casablanca (Morocco), Gibraltar, Barcelona (Spain), Livorno (Italy), Civitavecchia (Italy), Monte Carlo, Napoli (Italy), Santorini (Greece), Kusadasi (Turkey), Mykonos (Greece), Athens (Greece), Katakolon (Greece), Corfu (Greece), and disembarking in Venice (Italy). During the summer of 2006, we drove through Ontario to the East Coast of Canada, visiting the Thousand Islands in the St. Lawrence Seaway, and various cities and towns in Quebec, New Brunswick, Nova Scotia, and PEI. From December 2005 to March 2006, we cruised on the Golden Princess in the Caribbean. We embarked the Golden Princess in San Juan, Puerto Rico and cruised throughout the Caribbean, visiting the ports of St. Thomas (Virgin Islands), Philipsburg (St. Maarten), Castries (St. Lucia), Oranjestad (Aruba), St. John’s (Antigua), Roseau (Dominica), St. George’s (Grenada), and Basseterre (St. Kitts). During this time we also spent Christmas and the New Year onboard. 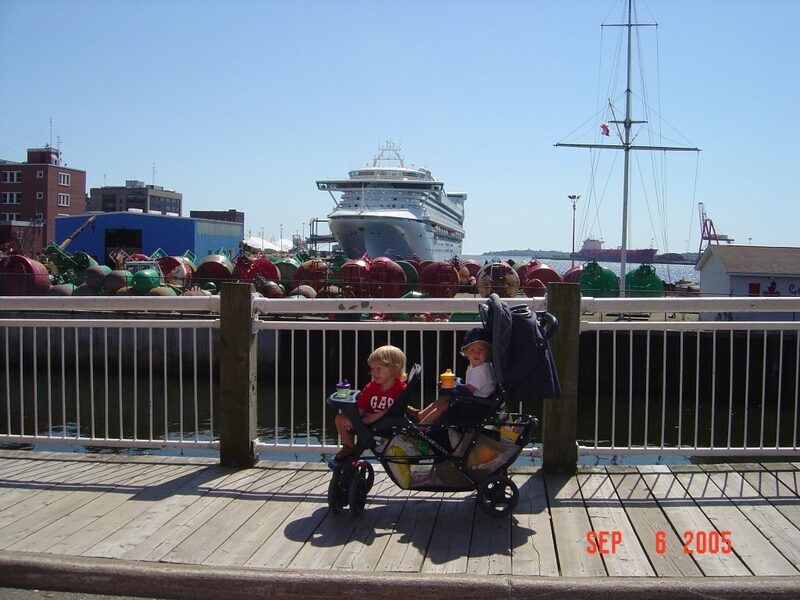 In September 2005, we cruised Canada/New England on the Golden Princess. We embarked in New York City and visited the ports of Newport (RI), Boston (MA), Bar Harbor (ME), Saint John (NB), and Halifax (NS). 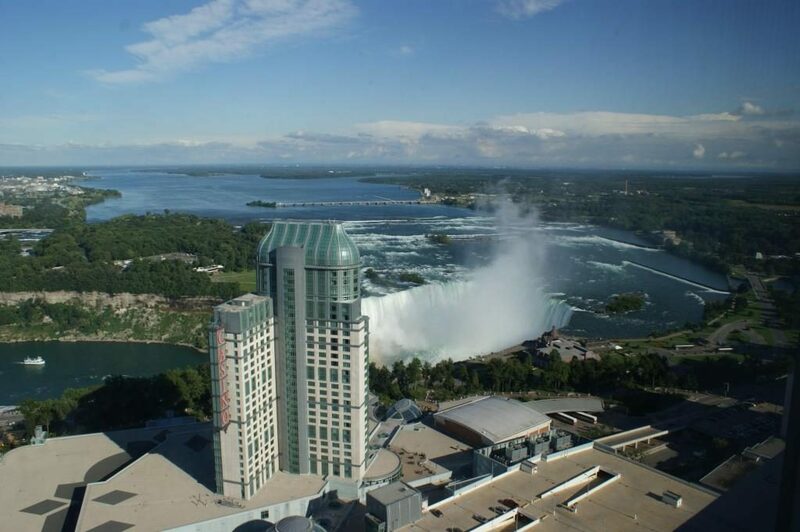 After we disembarked in New York City we drove home via Niagara Falls, Ontario. During July and August 2005, we cruised in Europe on the Golden Princess. We embarked the Golden Princess in Southampton, UK and cruised 20 days visiting the ports of Dublin, Glasgow, Bergen, Rotterdam, Zeebrugge, Le Havre, Oslo, Copenhagen, and Hamburg. 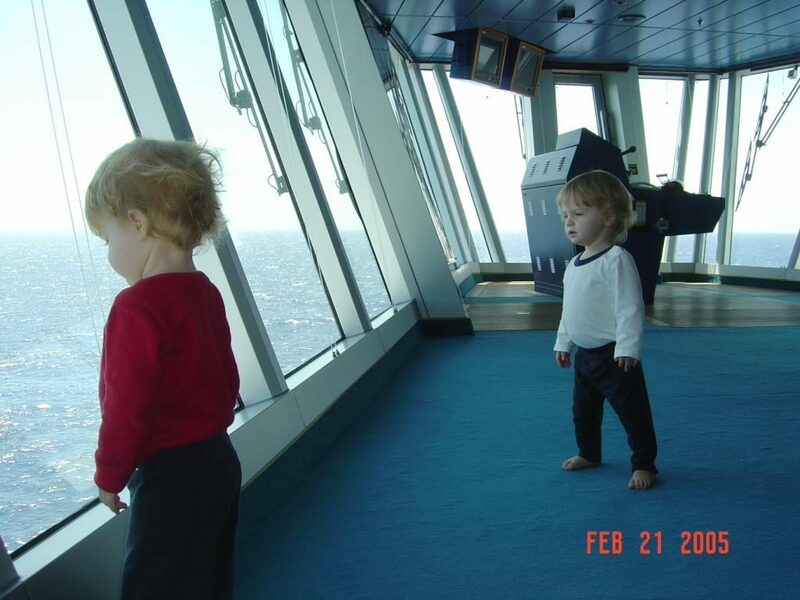 During the month of February 2005, we cruised on the Caribbean Princess in the Caribbean. We embarked the Caribbean Princess in Fort Lauderdale, Florida and cruised for 21 days. 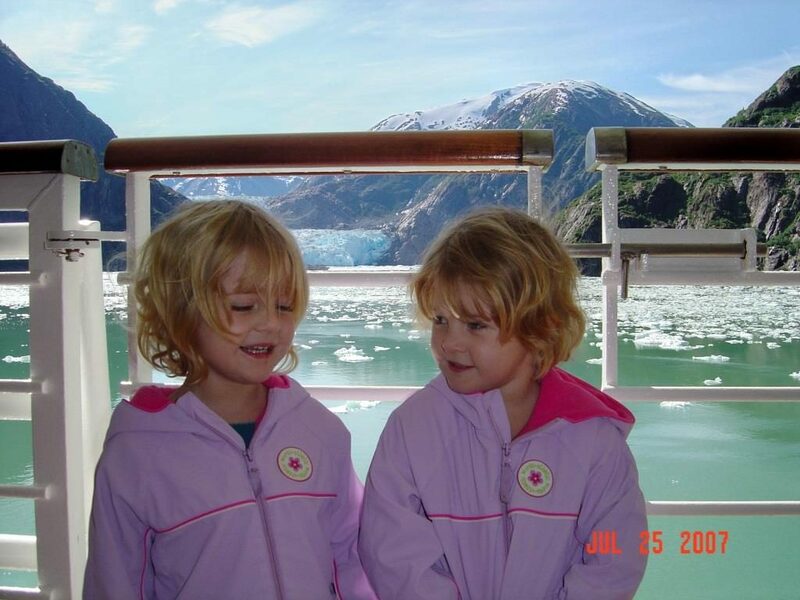 In March 2004, Maria and Gabriella took their first cruise. They were only six months old! 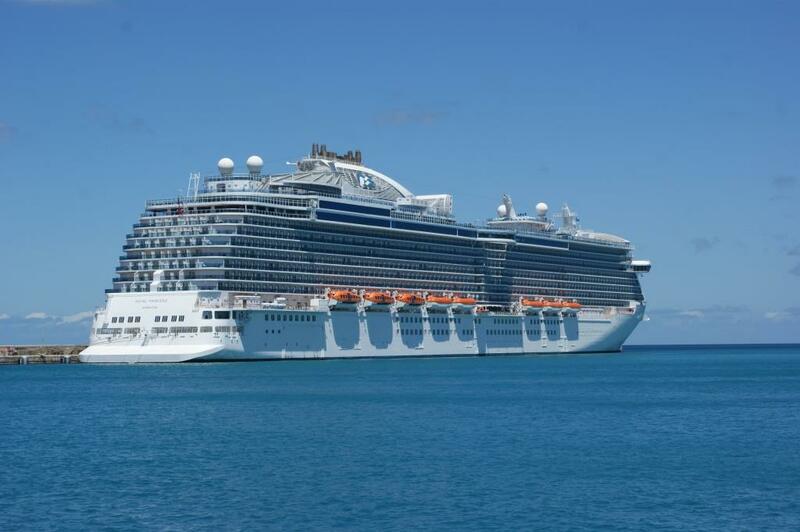 We embarked the Grand Princess in Fort Lauderdale and cruised throughout the Caribbean. Unfortunately, kids younger than six months old were not allowed to cruise (as per the cruise line’s policy), so that’s why we had to wait so long. Instead, we would visit Tony on the ship every turnaround day when the Grand Princess was in Fort Lauderdale, until the girls were old enough. 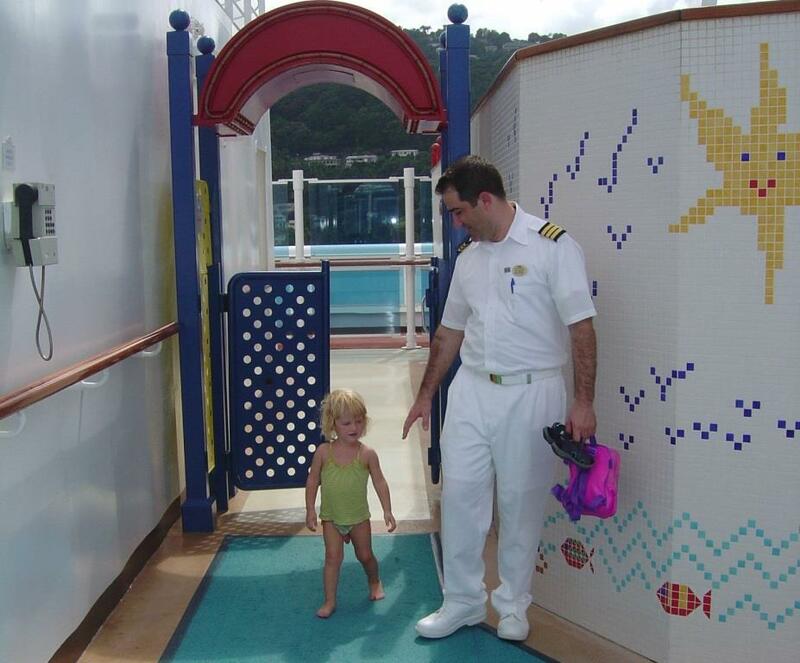 Prior to having our twin daughters in 2003, I worked for Princess Cruises between 1999 and 2002. Itineraries included Alaska, Mexican Riviera, Caribbean, and Panama Canal. During those years, Tony and I continued to travel even on our leave. We were married in Victoria, BC in 2002. In 2001, Tony and I worked on board a luxury yacht that was based in Fort Lauderdale, Florida and Nassau, Bahamas. In 2000, Tony and I traveled by backpack around the world for three months visiting the countries of New Zealand, Australia, the Philippines, Israel, Hong Kong, and ending in Italy. 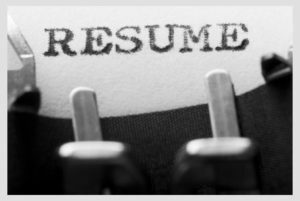 My travel history prior to 2000 and cruising includes living and working in Whistler, British Columbia for 10 years with vacations in Hawaii, Mexico, the Bahamas, and Caribbean.